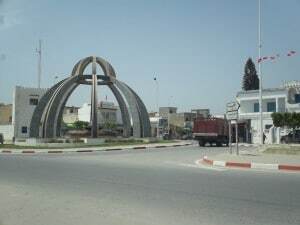 Sfax is the second largest city of Tunisia, housing around 400,000. 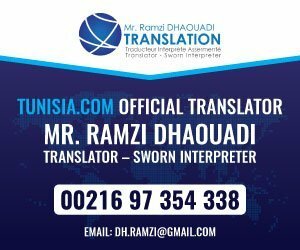 Tunisians in general consider people from Sfax as excellent merchants and as more hardworking than Tunisians in general. And the University of Sfax is better than the two of Tunis. True or not, I don’t know. Sfax is not a touristic place. There are many hotels here, and good restaurants, too but these are aiming at merchants and business men. The result is actually that Sfax is cheaper than other Tunisian places, and is a good place to buy souvenirs. The quality is slightly higher, and the goods are genuine, because they are aiming at the Tunisian audience. This means that the mountains of small, furry camel dolls are replaced by things that make sense. Trying to see the place, the harbour and the medina are the places you should head for. The old city is vital, people are living here, and the streets are filled with shops, without all the ordinary tourist crowds. The harbour is a short visit only, but an excellent chance to see the commercial Tunisia in action. 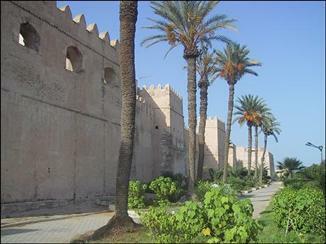 Sfax’s city walls are in a notably good condition, especially considering how much was destroyed by bombing during World War 2. Much of it dates from quite recent centuries, but the oldest surviving parts are from the 9th century. The city walls encompasses the medina completely. The Dar Jellouli is a former upper class mansion now turned into a museum (1.1TD plus 1TD camera permit). It is definitely worth the visit, as both the house and the exhibits are of excellent quality. The house itself dates back to the 17th century, and is 3 storeys high. As always all rooms face the inner courtyard, and there are few windows facing the streets. The exhibits include everyday items, yet expensive and beyond reach for most inhabitants. There are also some interesting stops, showing how rose water was made and how traditional kohl eyeliner were made and then applied. 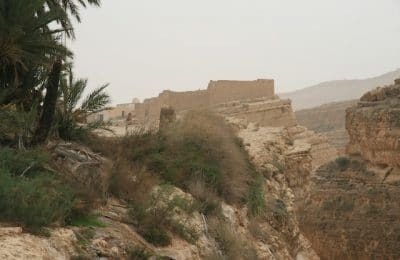 Some parts of the the Kasbah dates back to the 12th century, but most of its was built in the 17th century. At times it served as the governor’s residence, today it has become a museum of traditional arts. The Kasbah is open for visitors (1.1TD plus 1TD for camera permit), but there are few intriguing details inside. Not that this should be surprising, the model for such fortresses is quite simple. A few dark rooms and dungeons may still be of interest to many. At least you will have great views from atop the ramparts. The medina has only got 6 entrances, each one different from the other. Looking at the picture, the difference between the main entrance of Bab Diwan and the modest Bab el-Gharbi is striking. Bab Diwan is the nicest of all the entrances, with 3 gates (lowest photo). The left gate is the oldest surviving and complete part of the walls, dating back to 1306. The suuq of Sfax will appear less appealing and inviting than many of the tourist suuqs other places in Tunisia. There is practically nothing here aiming at attracting tourists. Which is the good thing about it all. The Sfax medina is the real thing, and even modern times people live here, work here and come here to shop products that they actually intend to put into use. The suuq even got special quarters for old trades like locally-made jewellery and iron products. Even better, the place is really friendly. Sfaxians are said to feel above the needs of alluring foreign visitors, but that doesn’ mean that they are unfriendly. On the contrary, Sfax medina is a place where people show genuine hospitality to its guests. Not just that. The medina is of such a nice quality that it has been used as a location for international movies, like The English Patient. The Great Mosque of Sfax is really hard to get a feeling of. Similar to the Kairouine mosque in Fez in Morocco, Sfax has melted together with the nearby houses and streets. It was first built in 849 and expensively rebuilt in the following century. The mosque is large, still you may just pass it without noticing. It may not be entered by non-Muslims, but some doors and windows are open and nobody will mind if you look in. The minaret is nice, with highly decorated steps (picture left). It dates back to 988 and had the minaret of Kairouan as model. One little detail. On the 4th left window on the eastern facade (the only one visible) there is a Byzantine stone showing a peacock. It is really contrary to Islam to allow depictions of living creatures, but this stone as been allowed to become part of the mosque. The colonial quarters of Sfax are among the nicest in Tunisia, with their playful mixture of Oriental details and European lines of the time. The top photo shows the Town Hall, which also is an archaeological museum. Sfax modern town is largely made up of buildings from after World War 2, when these quarters were heavily bombarded. It has wide boulevards lined with trees and many green spaces. While there are many hotels of all classes in Sfax, many of these have different drawbacks. Some of the cheaper ones are seedy and not recommended at all. Some of the better ones, are overpriced and without good service. 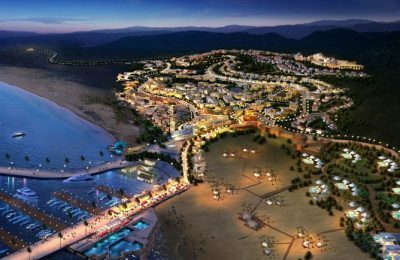 Among the cheap ones, we recommend Magreb and Medina. Among the medium priced we recommend Les Oliviers. OK, so you might face some problems getting enough hotel quality for your money. Restaurants are however, of great value in Sfax, and might be a reason for extending your stay for a day or two more. Sea food is the obvious choice, and you should not pass the fancy looking places without checking the prices. You might be positively surprised. Good connections in any direction. Sfax is the place to depart from, if you’ heading out to the Kerkennah Islands. There is a car ferry from the harbour leaving 3-4 times a day. Train is a good option if you’re going to Gabes in the south or El Jem, Sousse or Tunis in the north. The train station is located at the northern end of town centre. Taking the bus or shared taxi out of Sfax, can be confusing. There are numerous mini-stations for both. Your best way of approaching it, is simply to ask. There will always be someone around happy to point you in the right direction.